In 2006, when all hell broke loose in Oaxaca, and the streets were filled with tear gas, Jesus ‘Chucho’ Martinez was a founding member of ASARO, a radical printmaking collective. Today he works 6 days a week in what may be the most beautiful location for an art workshop. 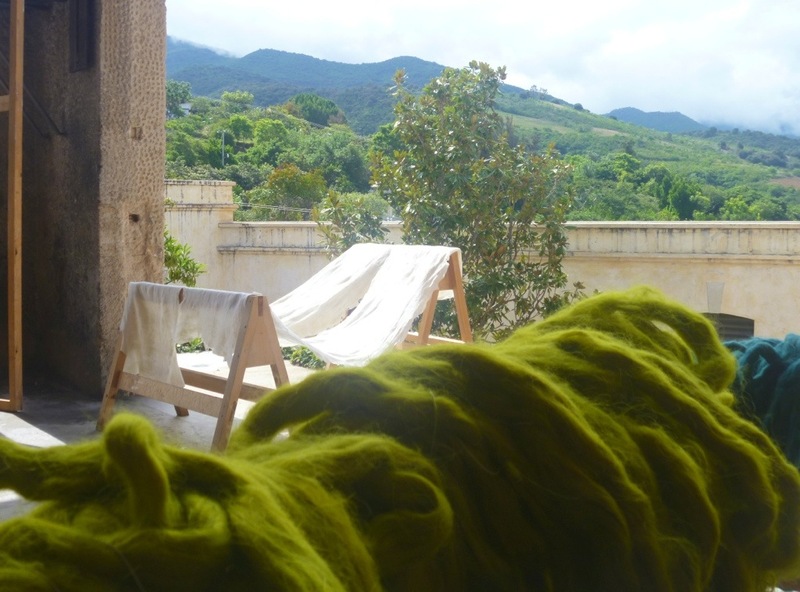 CASA’s Taller de Fieltro, the felt studio, is located in the power room of an old textile mill near Oaxaca. One entire wall is open to the mountain view. 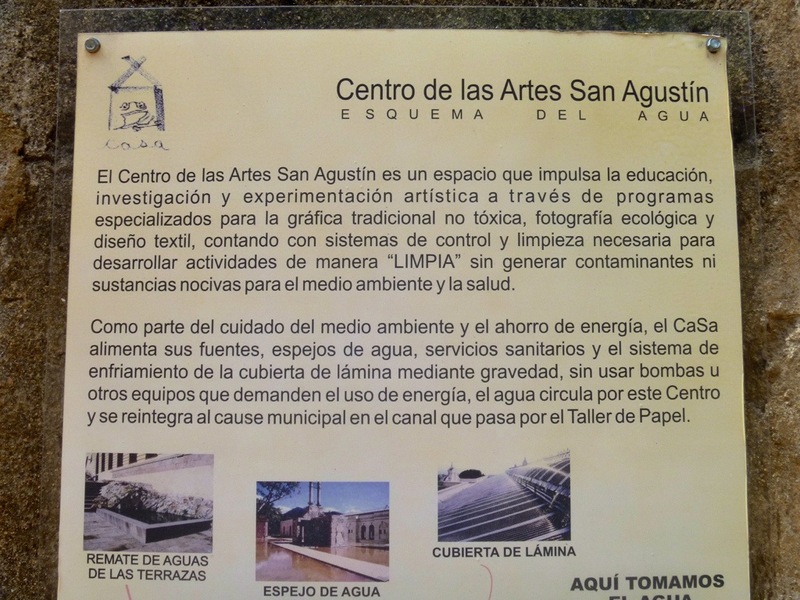 CASA or the Center for the Arts at San Augustin was founded in 2006 by Maestro Francisco Toledo to be Latin America’s first center for ecology in the arts. 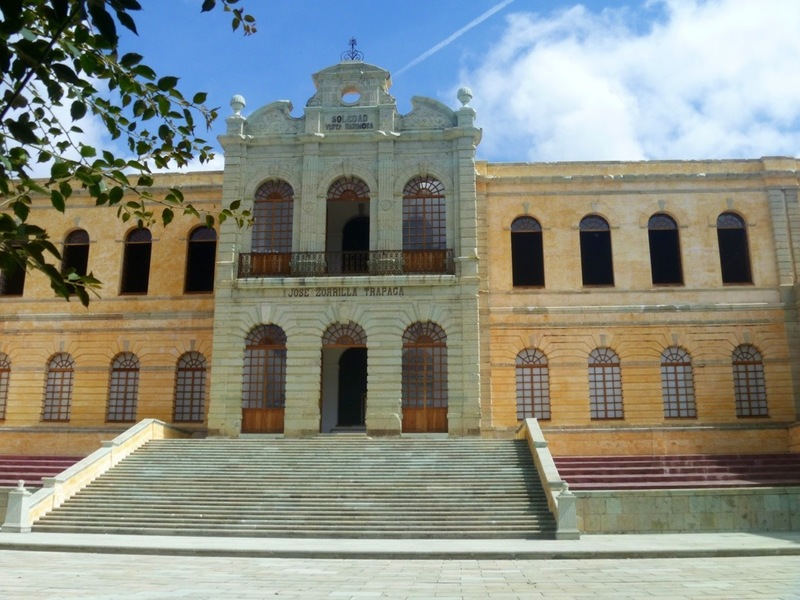 The 1883 factory was lovingly restored by architect Claudina Lopez Morales. 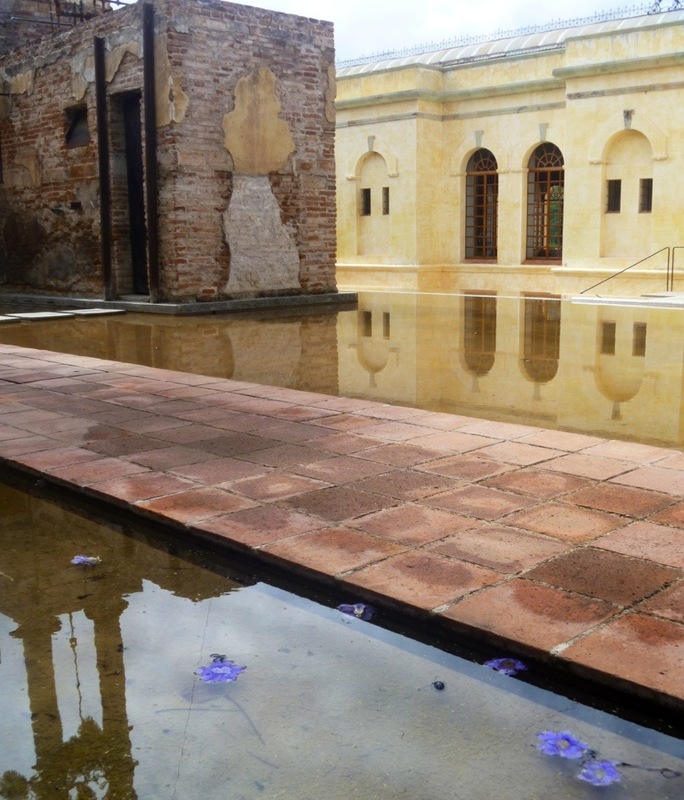 It has galleries and classroom spaces surounded by reflecting pools and breathtaking views. 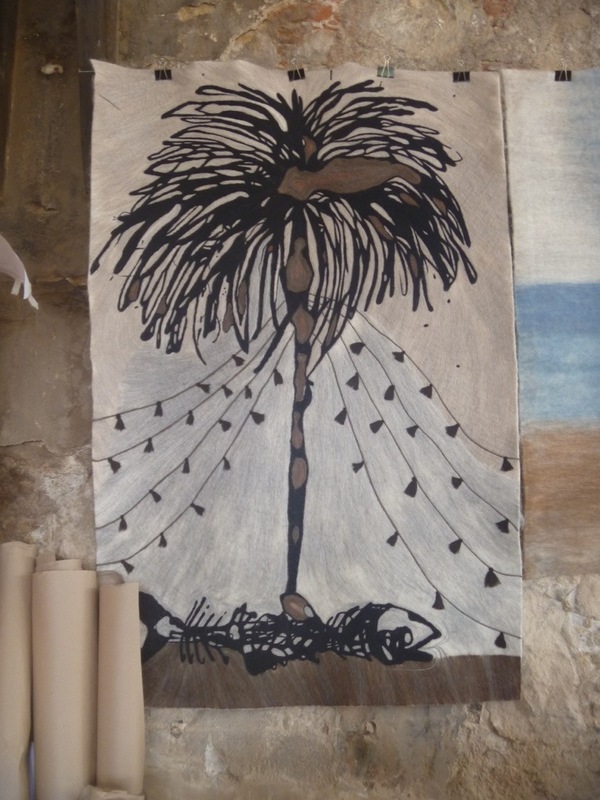 Even if there is no exhibition it is worth the 20 minute taxi ride from downtown Oaxaca. 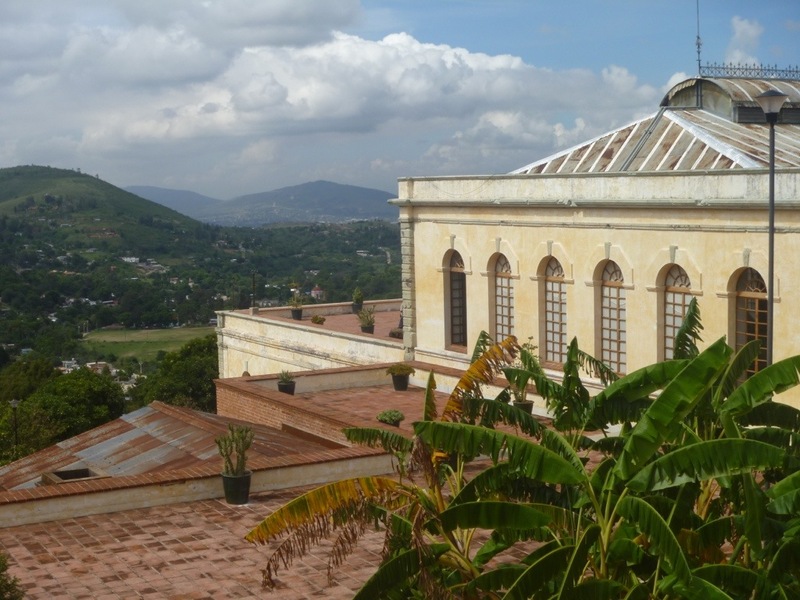 For those who read Spanish, more info on CASA can be found here. 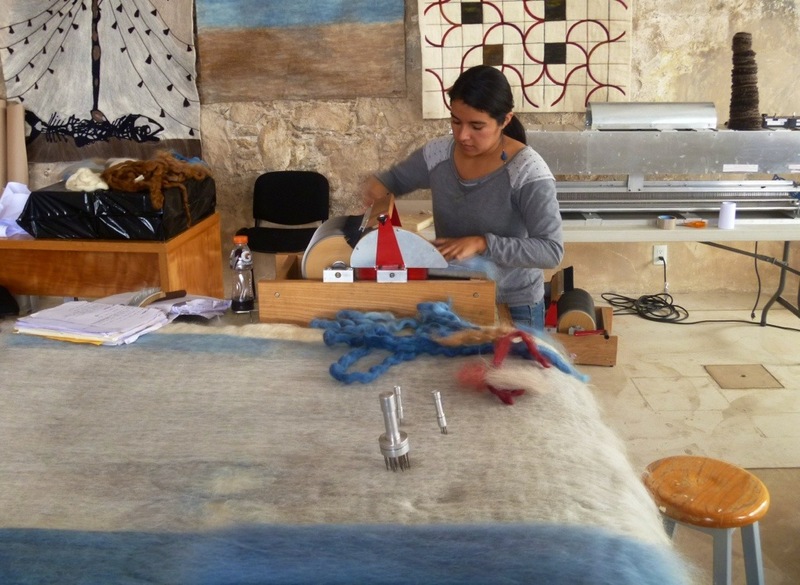 Below is a photo of Alejandra Salgado mixing pure white and blue wool for a felt painting. The taller is working with noted artists including Guillermo Olquin, Irma Palacios, Francisco and Miguel Castro Lenero, Paloma Torres and Jan Hendrix. Also participating is the always outlandish Dr. Lakra, who I wrote about once before. Hey, I just realized Dr. Lakra rhymes with Oaxaca. Chucho told me they use the finest lamb’s wool including that from Merino sheep. 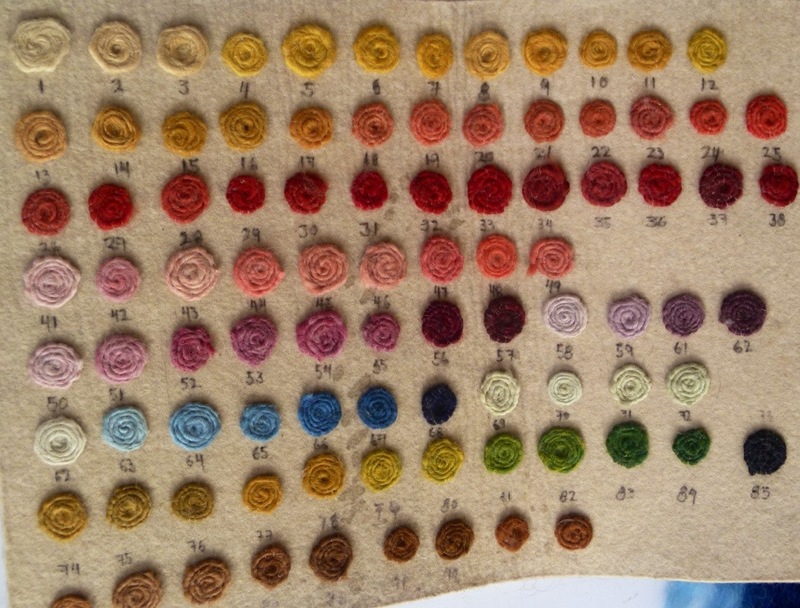 In keeping with CASA’s code the dyes must be nontoxic. They keep a color chart of over ninety different hues that they mix like paint pigment to match the artist’s palette. 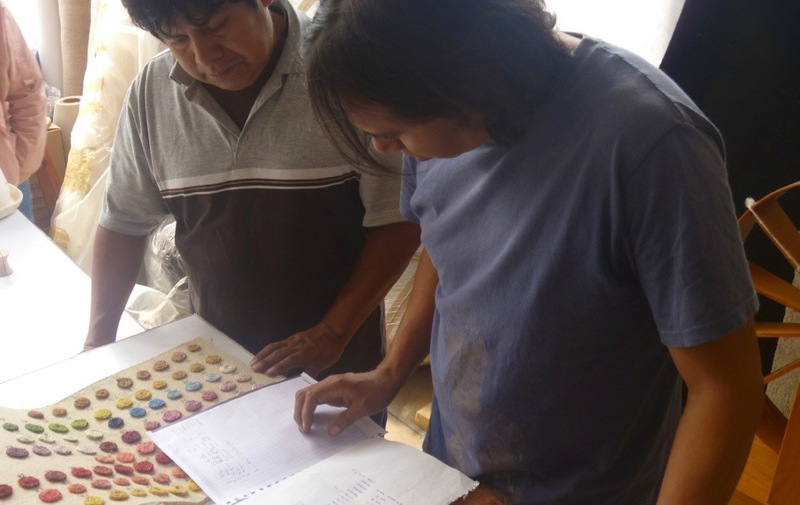 Below Chucho and a colleague work out the material list based on the color charts. Despite the lovely surroundings, clearly this must be a demanding job, working with such important artists. 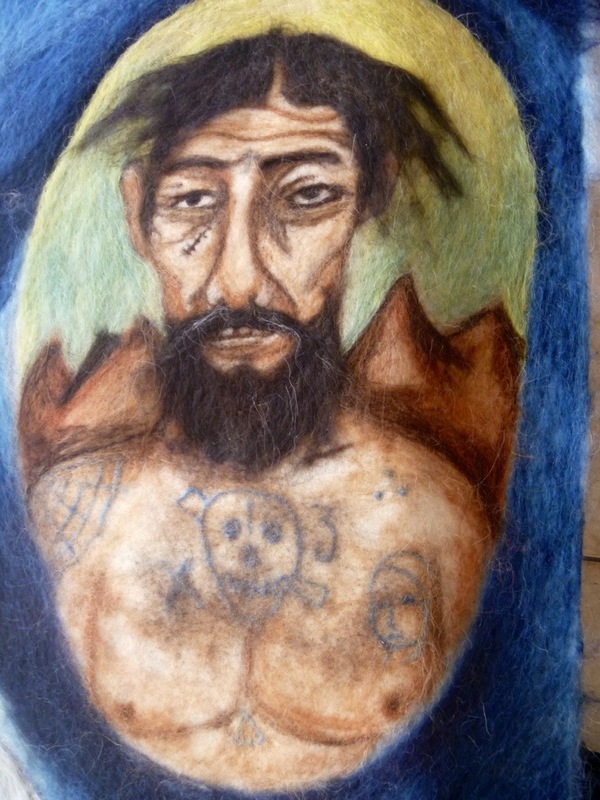 Here is detail from Dr. Lakra’s project, a tattoed man. Then following is Lakra’s larger work. 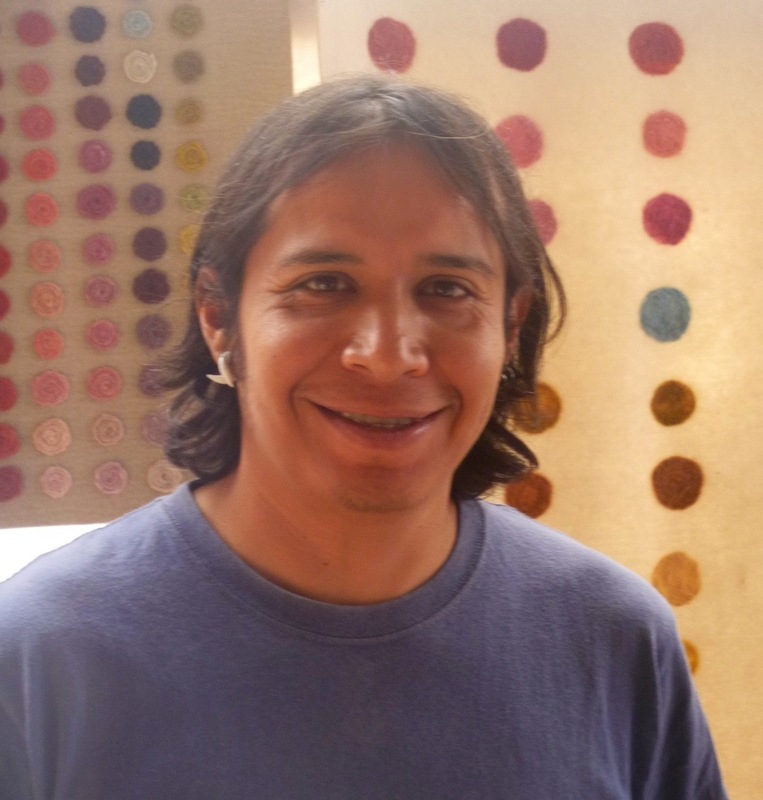 Following that is glimpse of Oaxaca artist Guillermo Olquin’s art. All copyright on the images belongs to the original artists. 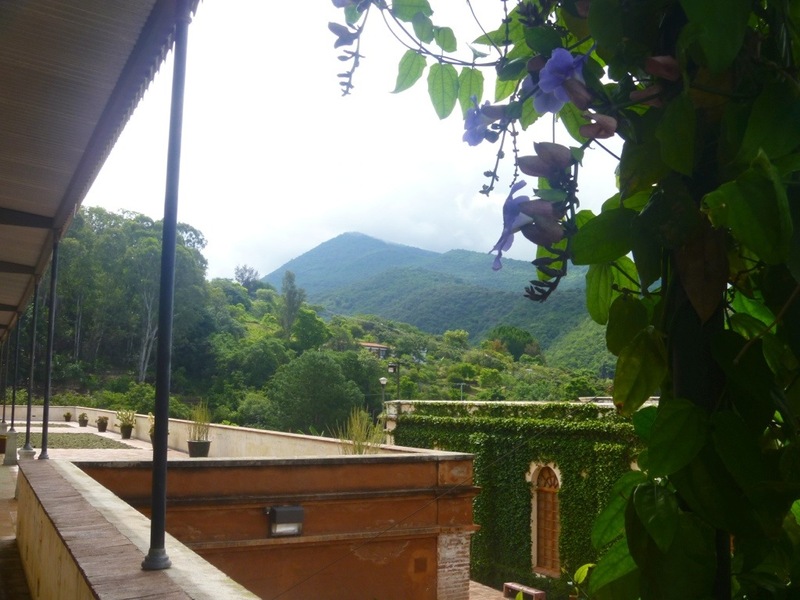 I close out this post with a sampling of the remarkable views surrounding the workshop. 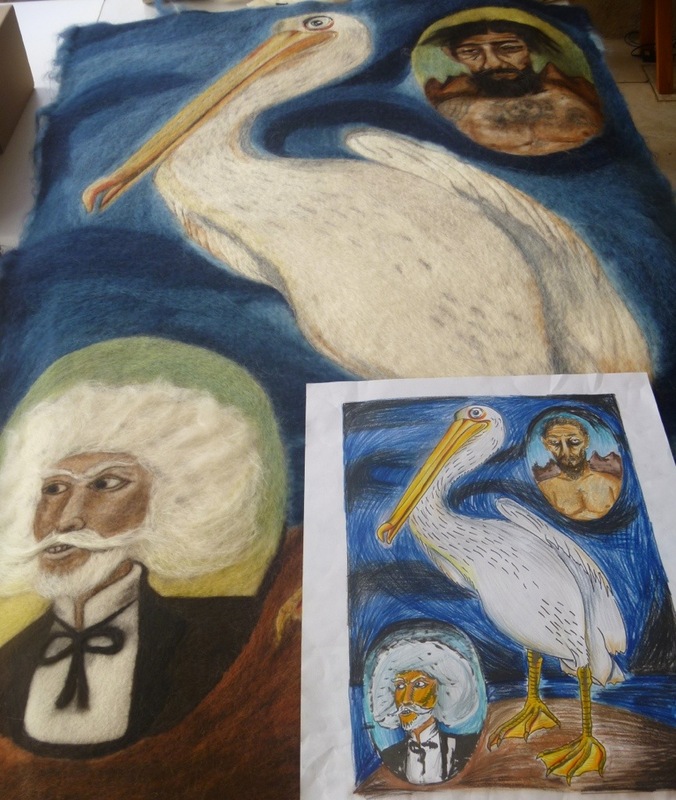 I believe these remarkable felt artworks will be exhibited in Puebla, Mexico in the near future. When I learn the details of the exhibition, I will update this post. NOTE: I am blogging from Mexico with my Ipad. It is wonderfully portable, but has its disadavantages. I have trouble adding the accent marks that should appear on some Spanish names. I also can’t caption the photos as easily as I might from a laptop. Sorry.